Islamabad: Prime Minister Imran Khan has stressed for strengthening the local government system in provinces in order to ensure equal development of all areas. 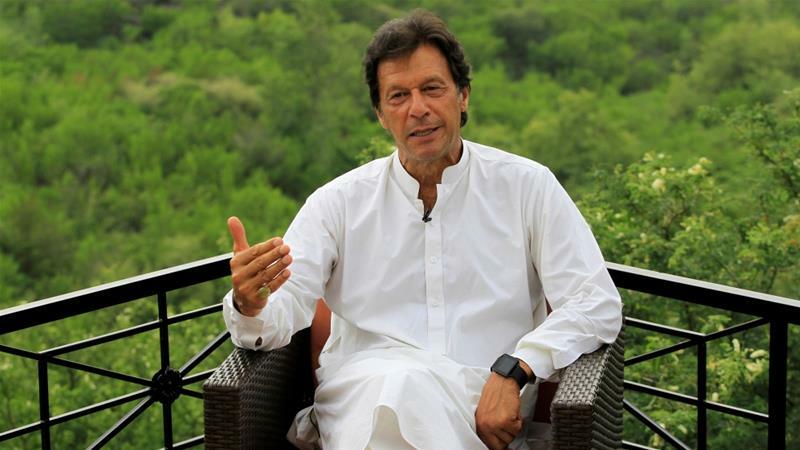 He was talking to Pakistan Tehrik-e-Insaf (PTI)’s Members of National Assembly from Hazara division who called on in Islamabad on Wednesday. The Prime Minister also emphasized for implementation of provincial finance award so that the areas lagging behind development could be provided with sufficient resources. Imran Khan special emphasis should be given to solid waste management and waste to energy projects in the provinces. The Prime Minister said steps are afoot to exploit the tourism potential of Khyber Pakhtunkhwa. He said the Khyber Pakhtunkhwa province witnessed a decrease in poverty over the last three years due to promotion of tourism. He said the tourism sector will be further promoted to bring more prosperity in the province. The members of National Assembly apprised the Prime Minister about the problems of their constituencies. Talking to Members of National Assembly belonging to Balochistan Awami Party, Prime Minister Imran Khan said development of the people of Balochistan, especially equipping youth with skills, is top priority of the government. He said technical colleges are being set up in Balochistan for imparting vocational training to the youth. He also emphasized on utilization of solar energy to fulfill energy needs in Balochistan. The Prime Minister said China-Pakistan Economic Corridor and development process in Gwadar will create enormous opportunities for social and economic development of the people of Balochistan. He said Federal Government is fully aware of shortage of water, especially the potable water, and he is in touch with Balochistan Chief Minister Jam Kamal to address this issue. Minister for Defence Production Zubaida Jalal apprised the Prime Minister about difficulties of fishermen due to construction of passage way linking expressway on East Bay. She demanded expansion of passage way to redress fishermen’s problems. The Prime Minister directed to immediately resolve this matter. Views were also exchanged regarding problems being faced by the people of Balochistan. MNAs Sardar Muhammad Israr Tareen, Khalid Hussain Magsi, Ehsanullah Reki, and Rubina Irfan were also present on the occasion.